Hello! Hope you all had a wonderful weekend! This week's theme is the best transitional polish from spring to summer. 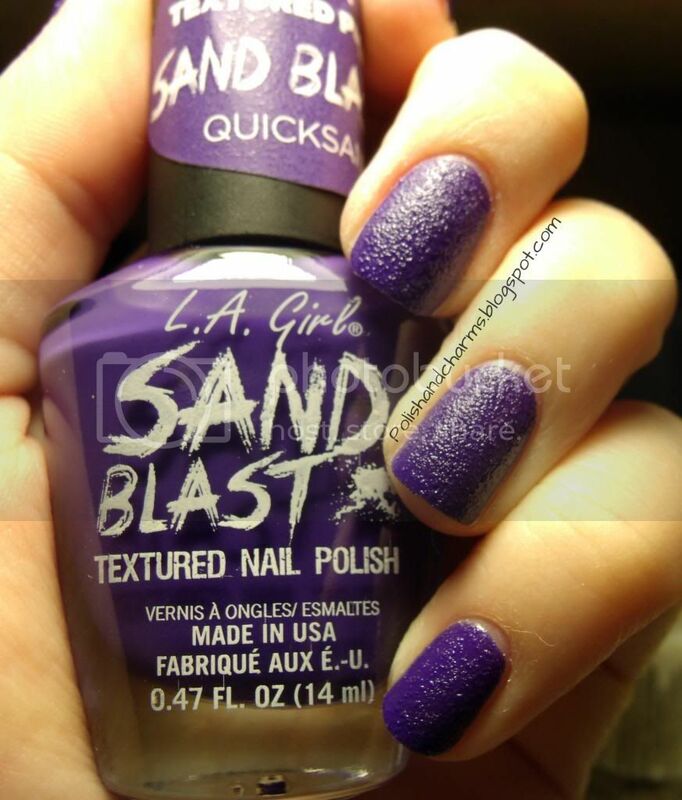 I chose LA Girl Sand Blast in Quick Sand. While it's a little dark, it's still nice and bright. I am all about bright colors for summer! 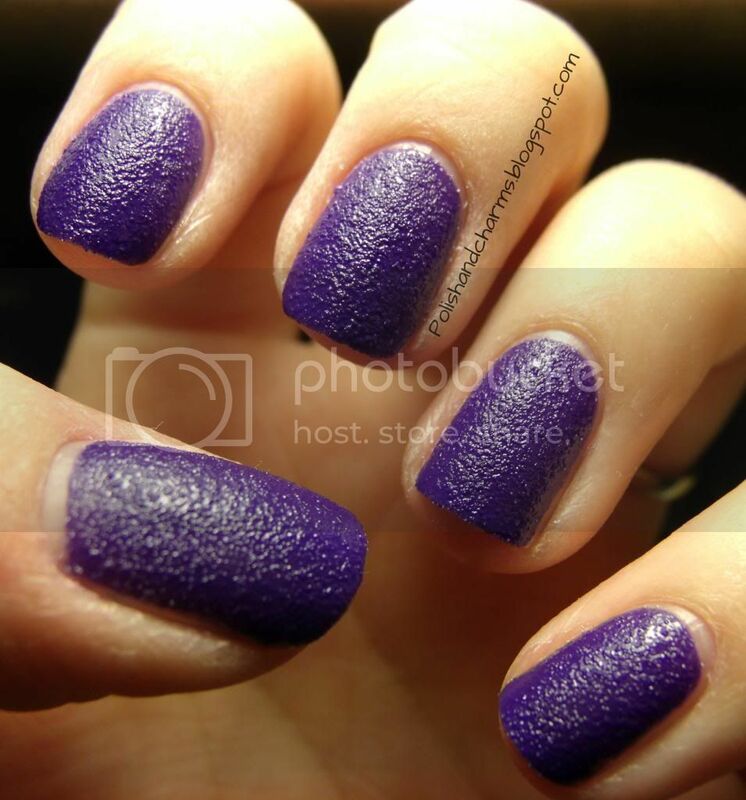 This is also a texture polish which seem to be gaining popularity and popping up everywhere. Now, if you aren't a fan of the China Glaze or Sally Hansen texture polishes you, might give these a try. I feel like the texture is a little finer, and a little less gritty. Application was great. I think I will like these a lot more and I plan on going back for more! I used 2 coats. Enjoy! 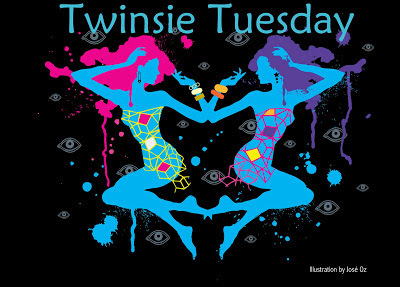 Don't forget to check out what the other ladies chose for today! I'm always impressed with LA girl polishes....this one is a beauty! I love a good deep purple! Wow this is a beauty! The color is awesome! i love this trend such a pretty color! This is a gorgeous color texturized!!! LA Girl is keeping up! I love purples like these...you always wear them so well! Ooh nice pick! This one is gorgeous! It's a very pretty shade of purple...! I love how the finish on this reminds me of leather! The color of this purple is absolutely gorgeous!! I prefer the sparkly textures like the Pixie Dusts from Zoya, though.